Of all the subjects written about and sung of in songs, love seems to be the most prevalent. What is it about love, though, that keeps us coming back and turning over the pages? 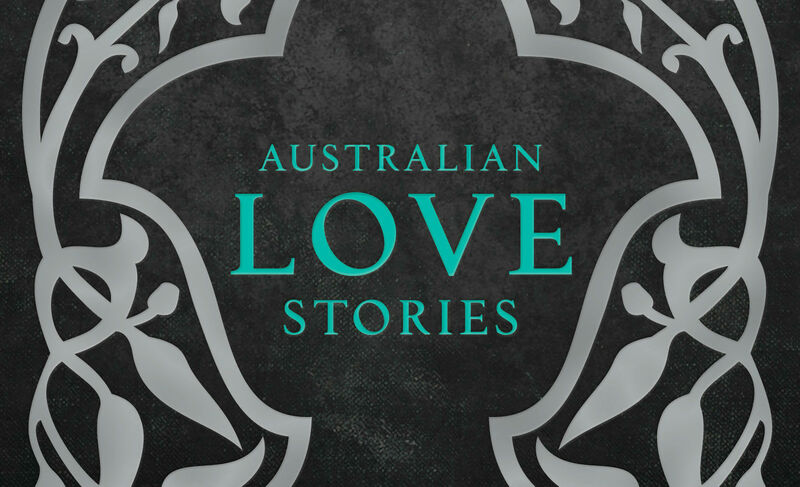 Australian Love Stories is a beautiful anthology of short stories from some of the country’s finest storytellers, examining love in all its forms. There are tales of unrequited love, young love, love put to the test, and love gone wrong. There is laughter, betrayal and heartbreak. There are tears and happy endings. In doing so, the anthology also explores the many shades of the human condition, and what it is that makes us tick – acting as a mirror to ourselves and the world we live in. The quality of the writing on show is superb. Editor Cate Kennedy had the unenviable task of sifting through a total of 445 submissions, and whittling the selection down to just 29. From the first page, these stories will take you on a similar journey. They will get inside you, live beneath your skin… I know they certainly did beneath mine. It is hard to narrow the selection down to just a few favourites… but here are a few of mine, just to give a small taster. In The Edge of the Known World, Debi Hamilton examines the friendship between two women, where one is in love with the other, who doesn’t see it. ‘If you want a story in which someone breaks someone else’s heart, this is the story for you,’ says the narrator. It begins as our narrator has surgery to remove some tissue from her breast. She thinks of how she’d met her friend Carmelita in the waiting room years ago– and how they’d then shared a flat together and forged a close bond. It is a sad tale of regret and missed opportunities. Swallow, by Jon Bauer, is about a young boy who overhears his mother and his stepdad arguing downstairs in the kitchen. He slips outside into a gale, when something bangs into the kitchen window– an injured swallow. The boy carries the bird inside to care for it, drowning out the sounds of the argument. Hammer Orchid, by Sally-Ann Jones, tells the tale of a love spanning a lifetime, beginning ‘when she was eight and he was sixteen’, and concluding ‘when she is fifty and he is fifty-eight’. Set in Western Australia, it is a tale of a young girl and an Indigenous young man separated by age, social class and skin colour. A beautiful, touching tale. Finally, possibly my favourite– These Bones, by Alison Browning, follows Enzo, who lives in a nursing home and suffers from dementia. Waking to find his partner Nev is not beside him, Enzo embarks on a dogged escapade to go and find him. My favourite line, in particular– ‘Enzo’s dreams moor him by dawn, they carry him through the night like the ship that brought him here many years before and anchor him tight.’ Stunning. But I am getting carried away, and could easily go on for ages. No, you will have to discover these for yourself. This anthology was an absolute joy to read– and comfortably takes its place on the shelf alongside any other classic Australian collection. Due for release in October.